Big Air Jam: Need a foam pit to learn back flips? Not this kid Ben Robinson! Need a foam pit to learn back flips? Not this kid Ben Robinson! 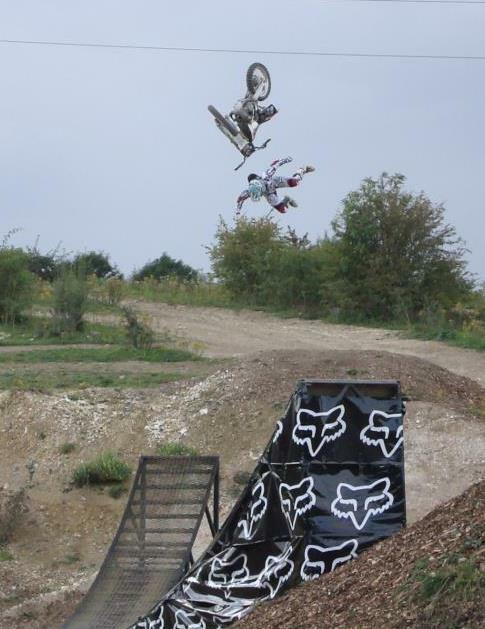 Ben Robinson new kid on the block in the world of freestyle motocross here in the UK. Ben 26 years old from Eastbourne East Sussex winner of the AFMX jam back late summer attempting a backflip with no foam pit or practice .Crazy or brave we re still trying to work that one out, But be sure to check out his skills at this years Big Air Jam Wednesday June 6th at Parc Y Scarlets Llanelli.